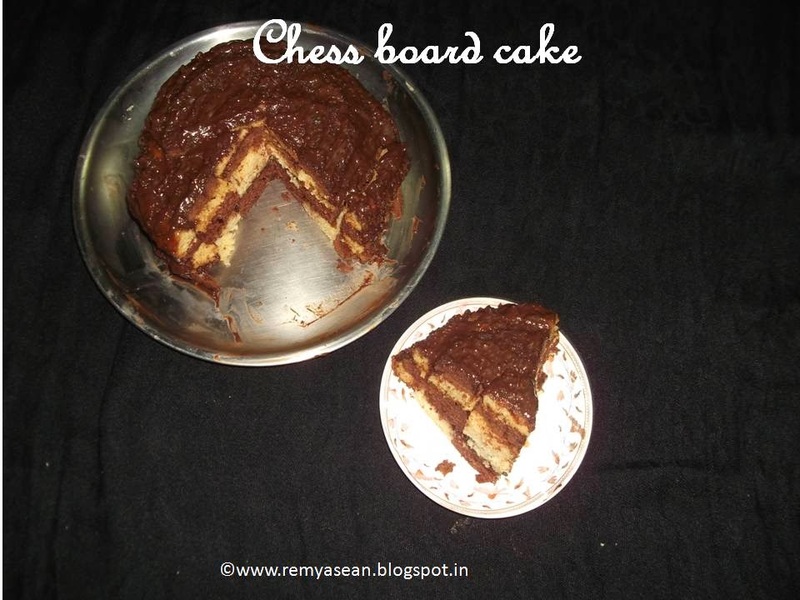 When I saw this in you tube I decided to try ti in my home.This is my first trial and didn't come perfect too.But I cant wait for the next trial to post this recipe.While searching I saw the checker board cake prepared by Athira sooraj (cheenachatty.com),where she used chocolate ganache and white chocolate decoration .It is a delicious cake with two different flavours. Beat egg in a mixer.Mix it well. Add butter and mix it well. Now add sieved flour to the egg mixture. Grease a cake tin with butter and pour the mixture in to the cake tin. Bake it in 180 degrees for 25 to 30 minutes.Oven should be preheated in 180 degrees. Check it with a tooth pick by inserting it in the centre of the cake. If it comes out clean cake is ready. Sieve maida,baking soda,baking powder and cocoa powder together.Keep aside. Beat egg in a mixer. Add powdered sugar,butter,milk and vanilla essence to the egg and mix it well. Pre heat the oven in 180 degrees. Pour the batter in to a butter greased cake tin. Bake it for 25 to 30 minutes. 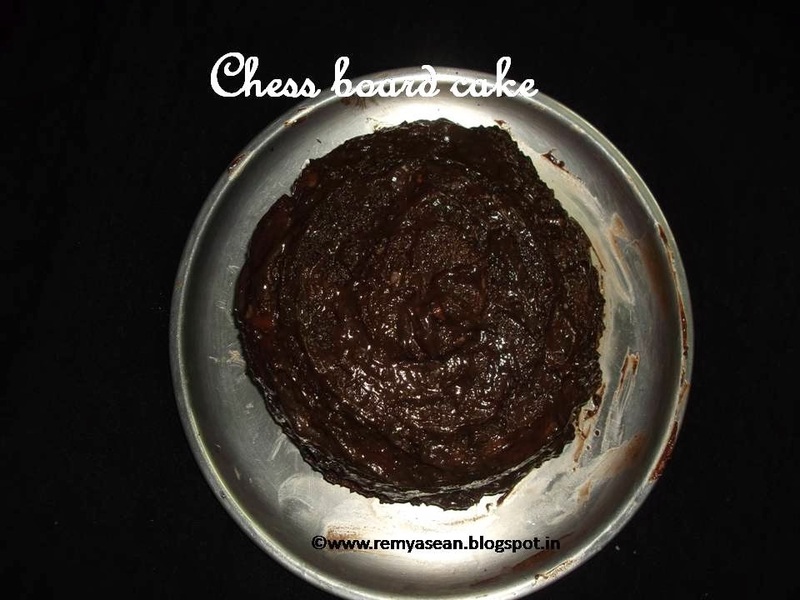 Check it with a tooth pick by inserting it in the centre of the cake.If it comes out clean cake is ready. In a bowl beat the butter until it is fluffy. Add cocoa powder,fresh cream and milk.Mix it well. Cut both the caked horizontally in almost same size.Now you have 4 cake discs.2 chocolate and 2 vanilla. Carefully keep the large mould(tiffin box)in the centre of the one cake disc. Cut it in to a circle by using a knife. Now use small mould (glass) and make another circle in the middle of the remaining portion. Use the same method for all the cake disc. 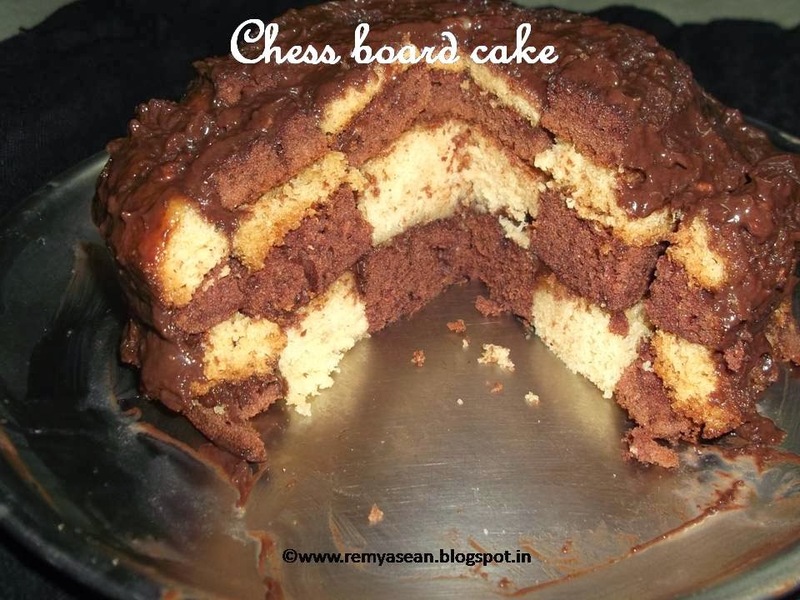 Now totally you have 12 round pieces of cakes. Take a plate with butter paper. Arrange small chocolate ring in the middle. Apply a thin layer of frosting to fix the three rings. Now first outer layer should be vanilla. Arrange small vanilla ring in the centre. Apply thin layer of frosting. Likewise finish all the rings by arranging alternatively. Apply frosting all over the cake. 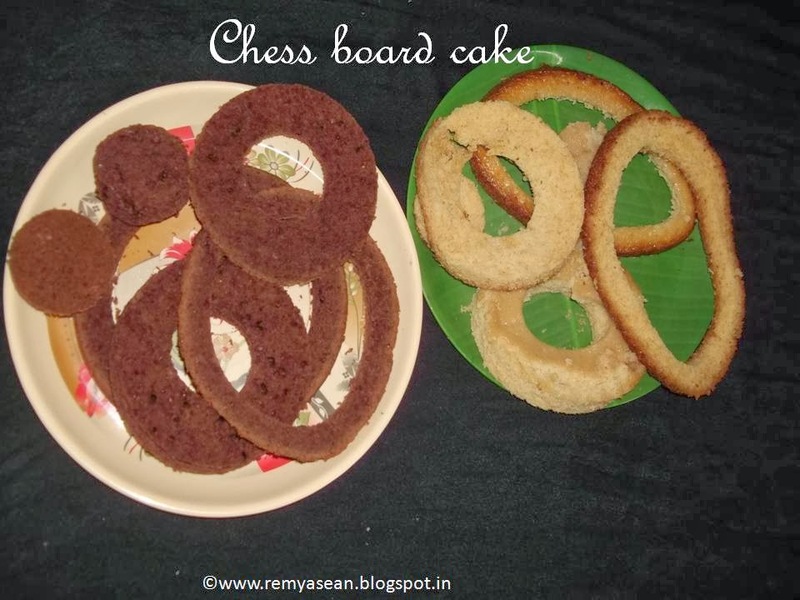 Very good attempt remya.. they look awesome..
Wow, nice work! Thanks for linking it to my event.